Phase Four, a provider of electric radio frequency (RF) thrusters for in-space propulsion, has announced the results of third party performance testing by The Aerospace Corporation, a provider of independent technical and scientific research to national security space (NSS) programs. The testing found that Phase Four's second generation of RF thrusters achieved their best performance to date, demonstrating performance on par with today's state-of-the-art Hall Effect Thrusters (HETs) and a 3000 percent efficiency increase over all existing RF plasma thrusters. 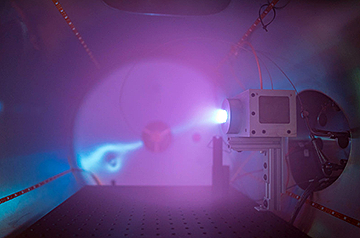 Phase Four's thruster fires plasma as it achieves the highest performing electrode-free RF engine data ever directly measured. Photo of the the Phase Four RF Thruster. Dr. M. Umair Siddiqui, Chief Scientist of Phase Four, said that these results validate the company's vision: to increase access to space by producing a thruster that can be used by all satellites, while matching performance levels previously available only to huge and expensive spacecraft. This sets a new bar for what can be achieved with these smaller electric thrusters, which offer high levels of power while eliminating many of the design and manufacturability issues — electrodes, complex electronics, and complex fabrication — which have plagued electric propulsion systems to date." 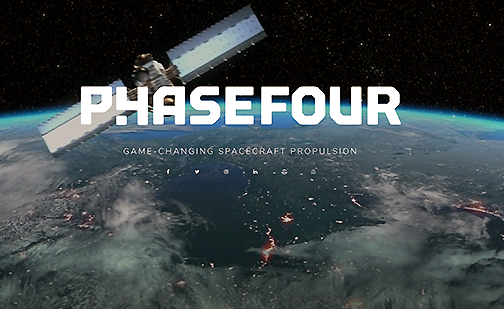 Simon Halpern, Founder and CEO of Phase Four, added that from the outset, the company's goal has been to match the incredible innovation happening within the small satellite sector by tackling the two largest challenges to its growth: cost and performance. In this testing, Phase Four thrusters achieved a first for the industry — performance rates that exceed those of existing state-of-the-art Gridded Ion Engines and Hall Effect Thrusters. 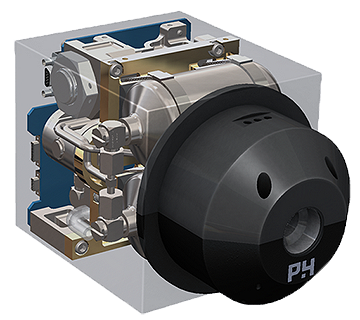 Rather than attempting to working around 50-year-old thruster technology, the company started from scratch, with the goal of providing more efficiency, maneuverability and inherent manufacturability. The results achieved point to a promising new range of capabilities for the entire satellite industry.